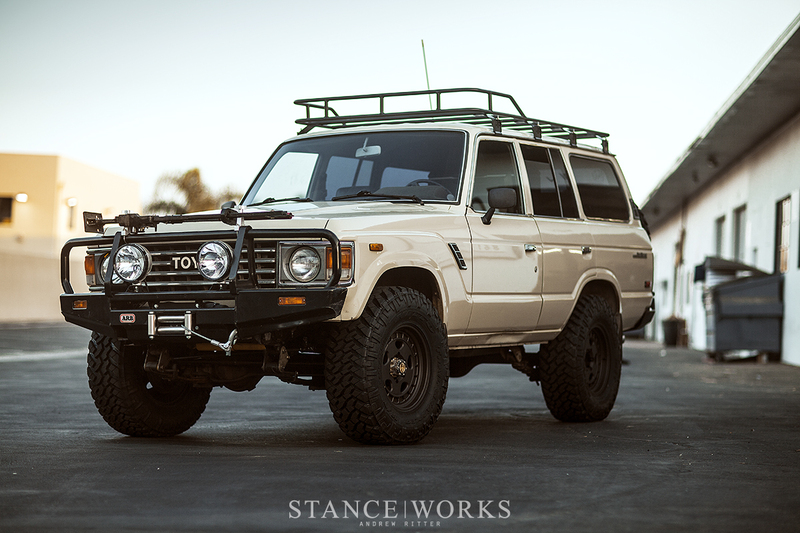 Two months ago, we took to our project FJ60 with a slew of Turtle Wax goodies, and with a bit of elbow grease, showed how one man's farm truck can be another man's treasure. 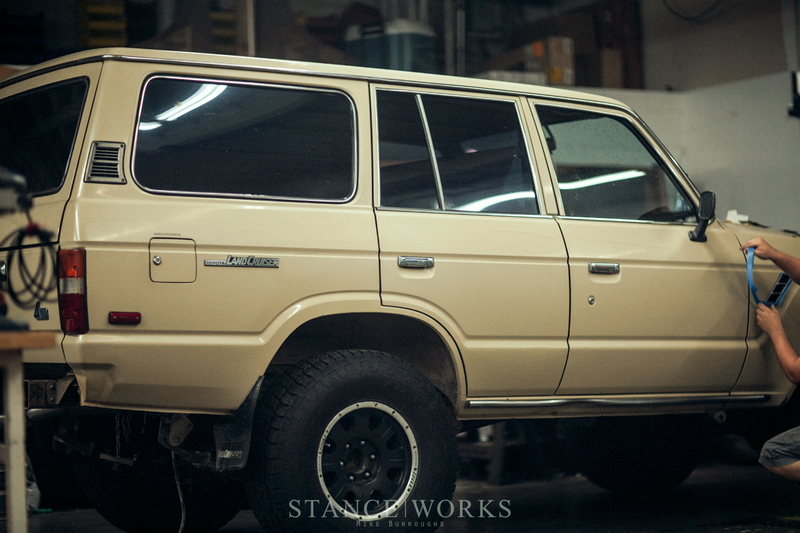 After reaching all of the nooks and crannies, we made the interior of our Land Cruiser shine, chances are, the most it has since it was new. Since then, we've been hard at work, finishing the project up in preparation for a week-long trip through the mountains of Colorado. 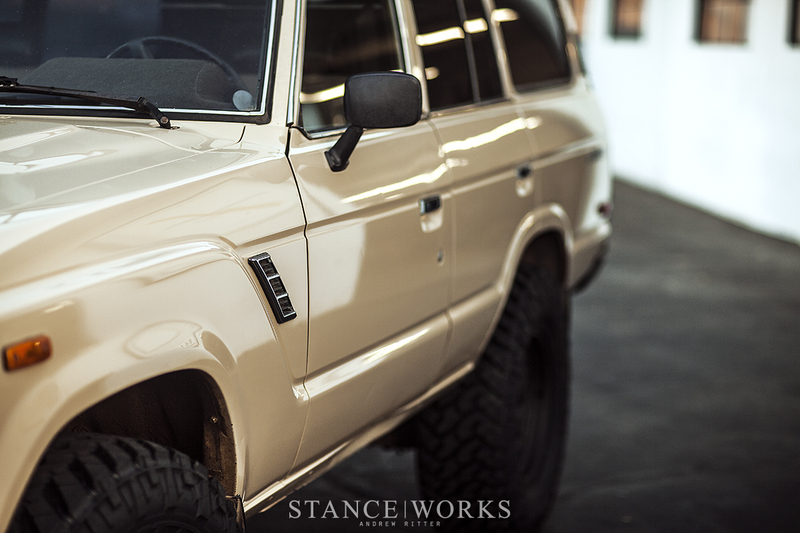 Now that she's just about ready, we turned our attention to the outside, enlisting the help of StanceWorks's own Cory Hutchison and his host of tools and talents to transform this Land Cruiser's paint completely. In this FJ60's 32 years of life, it's gone at least the last 26 or so without a wash, inside or out. The previous owner - and the second of the car's history - didn't hesitate to admit that the truck served its life as machine to get from farm to farm, and little more. Having spent its entire life in the high desert, it's in remarkably good shape with not a bit of rot to be found, but the paint is undoubtedly worse for wear. A quick glance, and the hard-to-capture-on-camera paint has almost no shine at all. 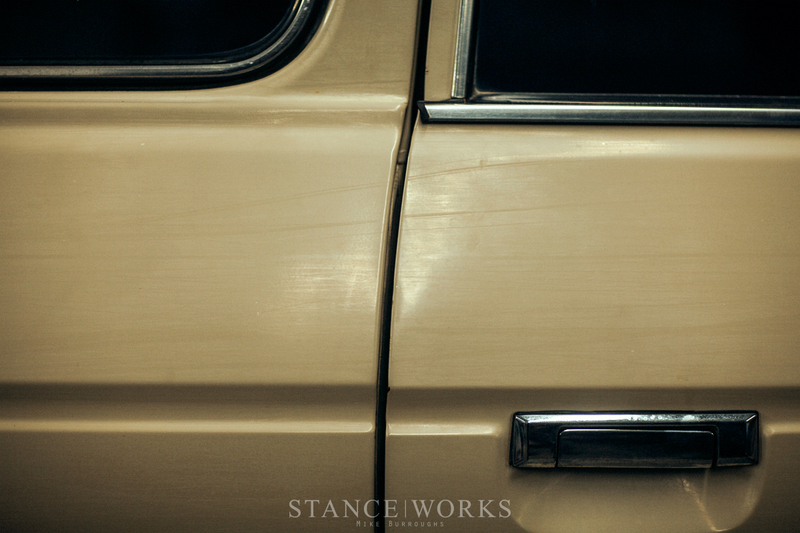 Easily mistaken for flat paint, the original tan was in dire need of some restoration work. 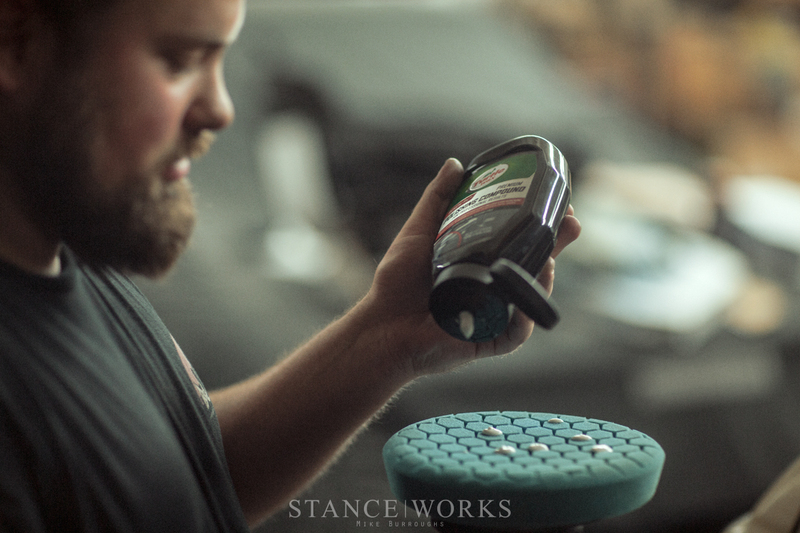 With that, we turned to Turtle Wax once again, this time focusing on their cuts, polishes, and waxes. The first step in the process, was of course, to clean the truck thoroughly. Following a wash in the parking lot, we gave the truck a once-over with a clay bar to further remove anything from the surface of the paint. The other half of preparation involved masking the truck's trim and accessories with a bit of tape, which helps to keep things clean and concise. Depending on the finish work you're after, it may be wise to remove what trim you can from your car for the best results. 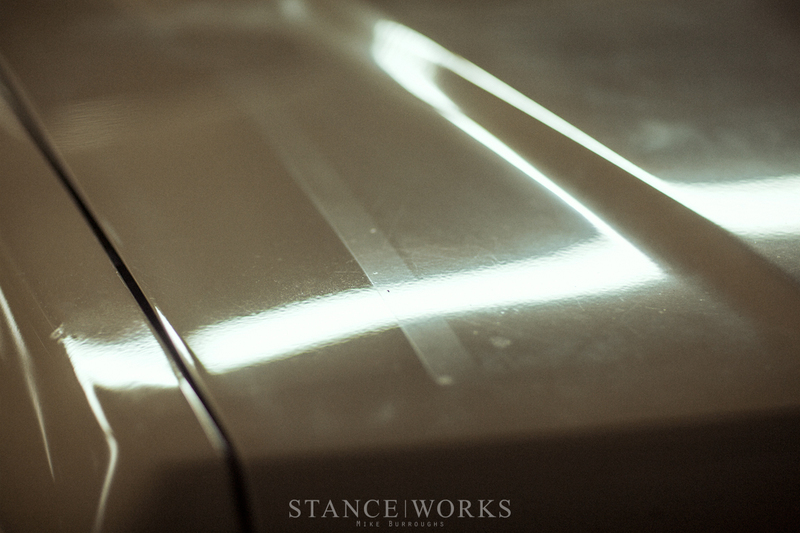 From there, the clear starting point was to begin with the Turtle Wax Premium Rubbing Compound. We turned Cory loose, and he worked his way around the truck. The rubbing compound is the first of three stages for our detailing plan, and is the one that also requires the most care. 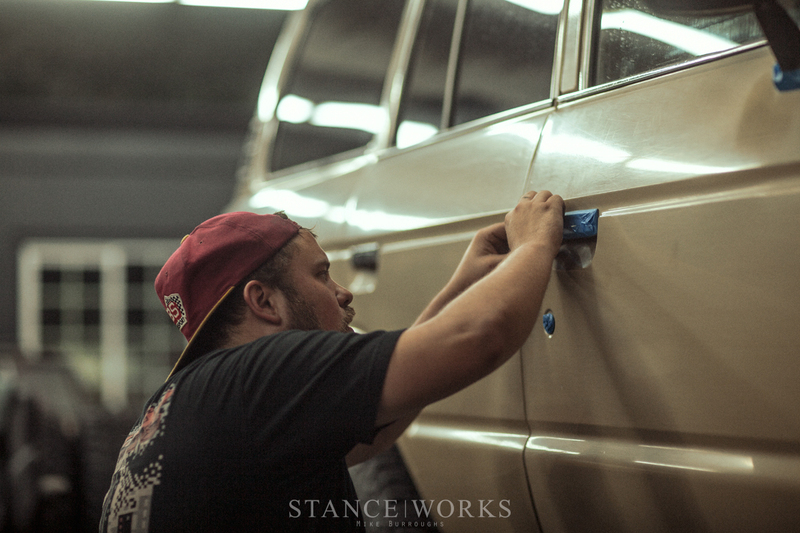 Rubbing compound is the most abrasive product we'll be using, and helps to remove imperfections in the paint or clear coat, and in turn, smooths it out. Rubbing compound is particularly coarse, and is best-suited for heavy scratches, stains, and oxidation. When on this step for yourself, take great care not to burn through your paint, especially on corners, body lines, and in those tough-to-reach places. It didn't take long for Cory to complete his first lap of the Land Cruiser, and the results were already showing. The truck shined like it hadn't in decades, and we were only getting started. The paint looked moisturized and revitalized already, and fittingly, we were excited to continue. 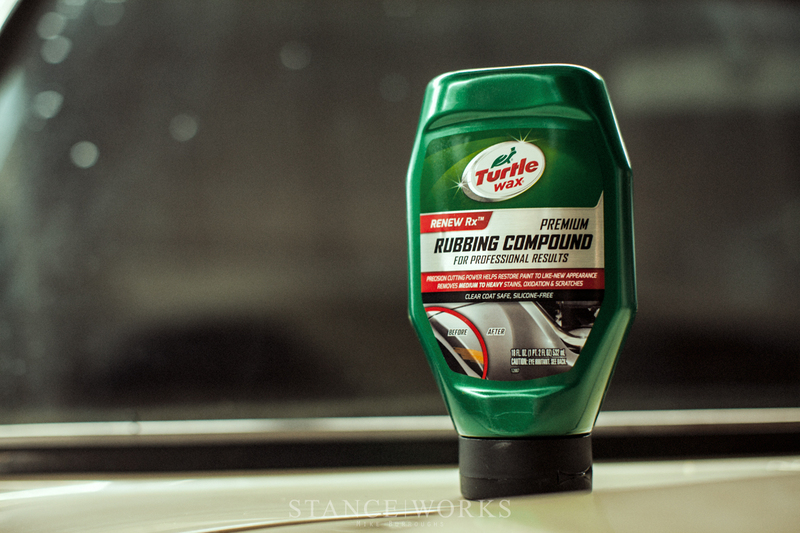 Up next was the Turtle Wax Premium Polishing Compound, and it does just what its name describes. 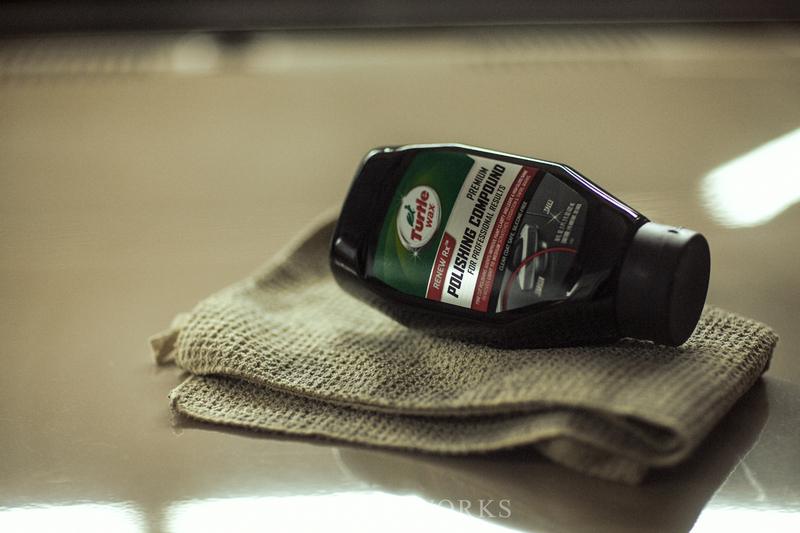 As a finer-cutting compound, and filled with lubricating oils, the polishing compound is meant for finer scratches, and to help bring out the shine in the paint to its full potential. While not as coarse as the rubbing compound, it's still important with this step, and all steps, to be safe and smart with your car's paint. Burning through can't be fixed without paint work! It took another 45 minutes or so for Cory to work his way around the truck a second time with the polishing compound, and as he worked, I followed with clean microfiber towels, buffing away the drying compound - an important job with each step of the process - to keep the path clean and the paint shining bright. 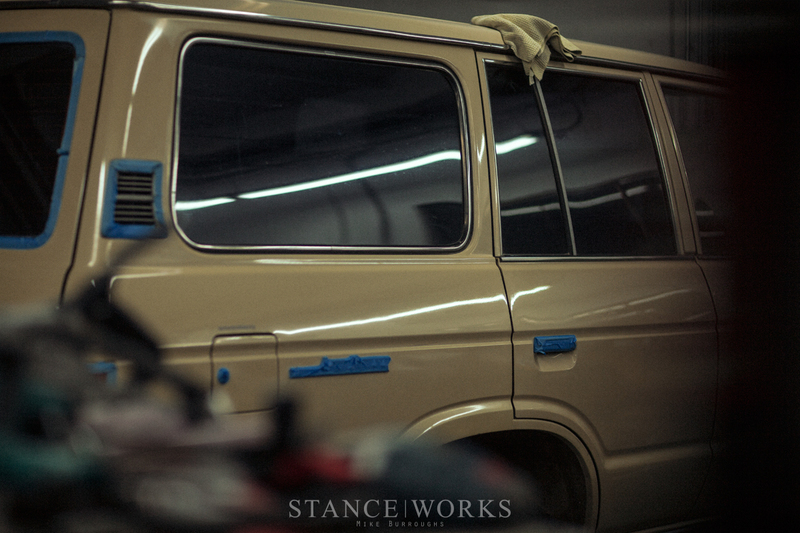 As I buffed, the Land Cruiser's paint began to glow as if it were new. 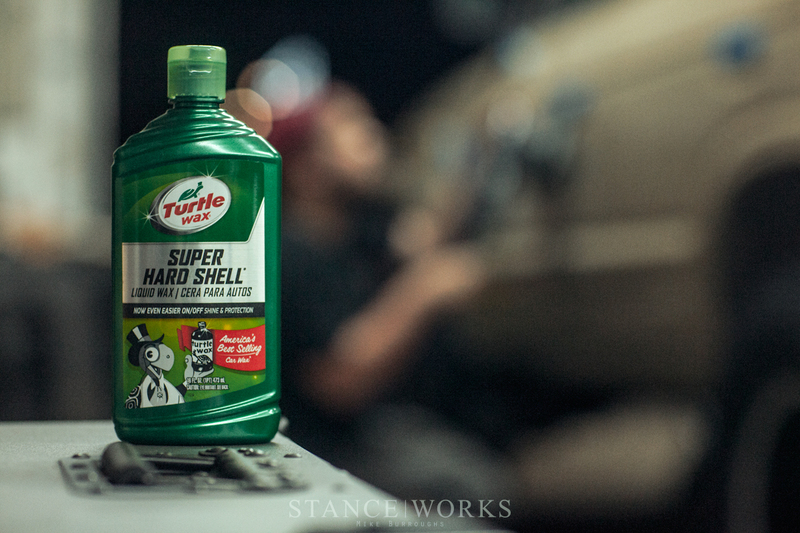 Last but not least in our process was the Turtle Wax Super Hard Shell Liquid Wax: the protecting layer meant to keep all of the hard work we've accomplished from fading once again. 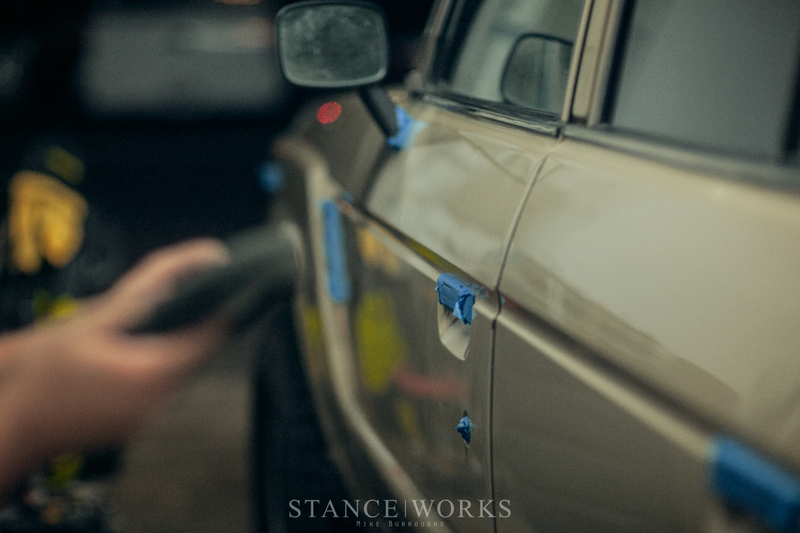 Wax will help keep water, dirt, mud, and dust from clinging to the paint, making future washes easier. 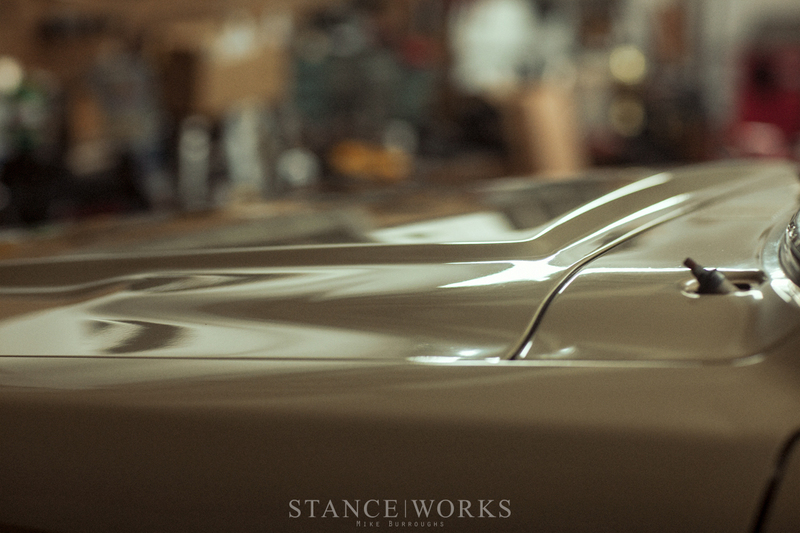 It'll also hold the shine in, protecting the paint for up to a year from our application. 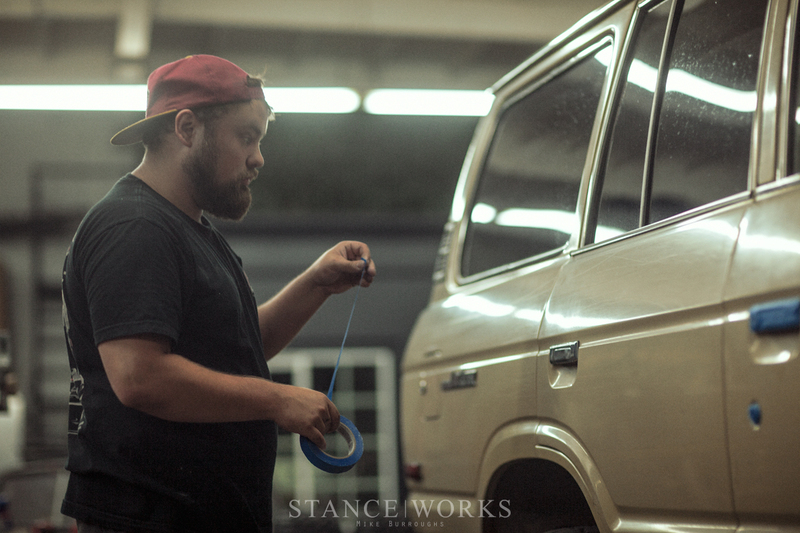 Cory applied the wax, and then worked his way around the truck a final time, buffing the paint to its final shine. It was with that that we were able to finally take a step back and admire just how much the truck had changed. 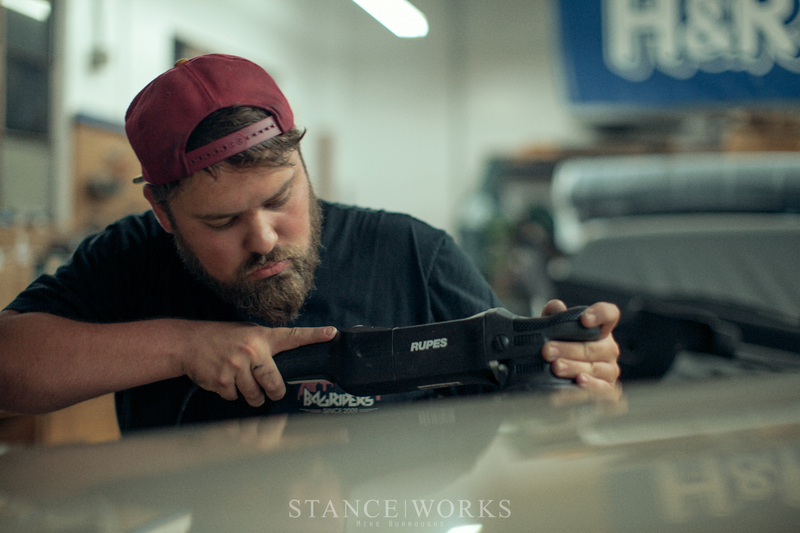 Over the weekend, we took the final steps in our build, installing a slew of parts we've been stockpiling in anticipation for our big trip. 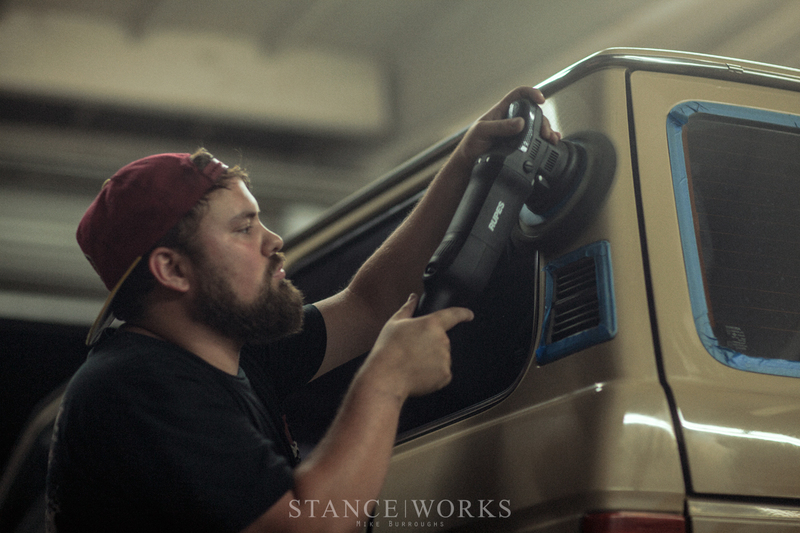 It felt wrong to dress the truck up without a proper detailing first - and clearly, it was worth the wait. The shine of the paint was a recovery greater than we had ever expected, and suffice to say, we couldn't be happier with the outcome. 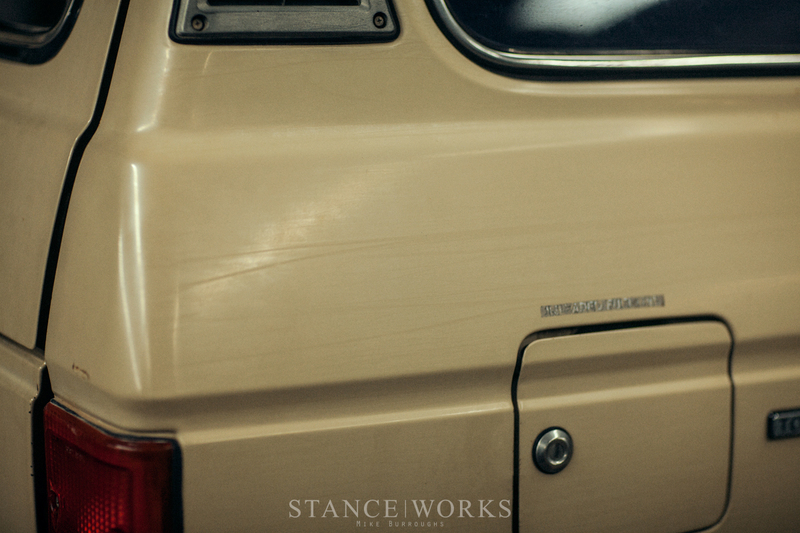 I know this is a sponsored post but I recently used the polishing compound on my FJ80 and it made the faded, cream color turn white again and it shines like Ive never seen it before. I had to re-polish and wax about 3 months later but since then its been great. Also the carpet cleaner is awesome. you should make it more clear that this is a sponsored post. that would be fairer for your readers. Love the truck! I just used the same stuff to get my FJ80 hood back from full oxidization. I agree on the other comments about sponsored post. Something like jalopniks discloser at the beginning of there articles works well and is usually funny. If you couldn’t tell that this was a sponsored post simply by reading then that’s on you. Could he have mentioned it? Sure. The 60 looks awesome. I really need to do this to my 62, but I’m nervous I’ll jack up the paint if I don’t have the right rpm on an orbital.